Sambar powder - Sambar is a traditional dish, which is prepared everday in South India, especially in Tamil Nadu. 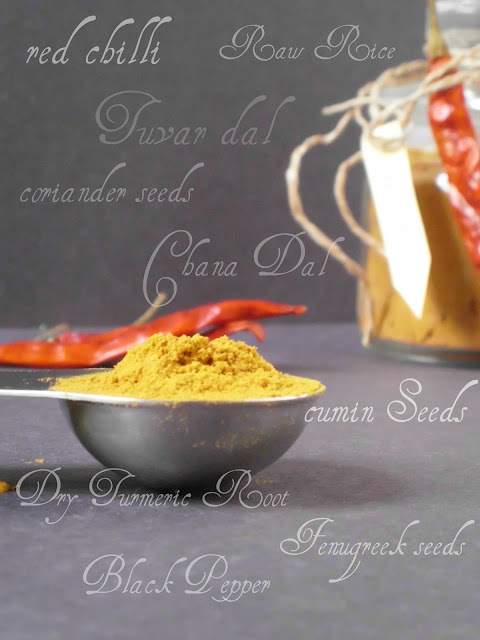 The main ingredient for this recipe is the sambar powder. Nowadays readymade sambar powder is available , but it is not equivalent to the fragrant of home made one. There are many recipes for sambar powder and here is mine. Preserve this in an airtight container, as it stays fresh for many months. Nothing will beat this kind of home made spice powders na, lovely click Aruna. Home made masalas are always best..they have fresh flavour. 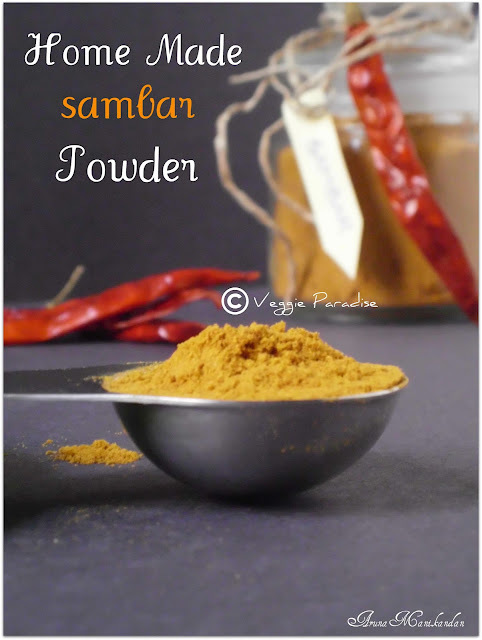 Love your version of sambhar powder..try soon..lovely clicks ..
Homemade powders are always more flavorful rt..
to have different sambar powder versions. Nice to prepare the spice powder at home.Homemade powders are always best. Homemade is the best and we do make almost the same way and use 50gms of dry ginger(sukku)for the given measurement...the click is awesome. really good one.. loved the first pic..
thanx 4 this n nice cliks. Homemade powders are the best !! Nice pictures !! Great clicks dear !! Nice sambar powder !! Definitely want to try this. Nothing like fresh ground powder.Yummy!! I am a lover of South Indian dishes. Thanks for sharing the sambar masala. This is best, economical and flavorful too! Beautiful clicks, nice n flavorful version. Very nice!! 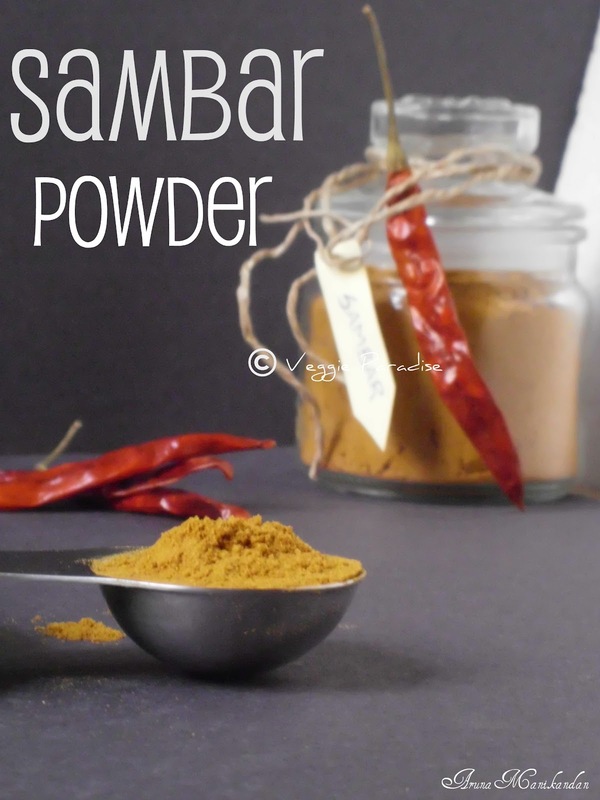 I have been eyeing to make Sambar Powder at home. Perhaps this will inspire me enough to get my act together! have bookmarked your recipe... will try this soon..